Israeli media reports US is pushing Israeli generals to turn public doubt, raising favor over Kerry's proposed withdrawals. The US is pressuring Israel to ignore its security concerns and persuade a skeptical Israeli public to accept US Secretary of State John Kerry's plans, which include Israeli withdrawal from the Jordan Valley in stages over the next 10 years, according to recent reports by Channel 2 news. US head envoy over the peace talks Martin Indyk has met with senior IDF generals in recent days according to the report, urging them to accept the deal. Further, Indyk and his staff have reportedly told generals to "go to the media and be interviewed and respond, because they have the impression that the Israeli public has doubts about the subject." The report comes just prior to Kerry's "offensive" in January to push Prime Minister Binyamin Netanyahu to adopt his plan. Palestinian Authority (PA) Chairman Mahmoud Abbas has already rejected the plan. In response to the report, Analyst Mark Langfan, who has critically analyzed and dissected Kerry's Jordan Valley plan, said "any Israeli general advocating the Jordan Valley plan is a military fraud, and I challenge them to a debate." 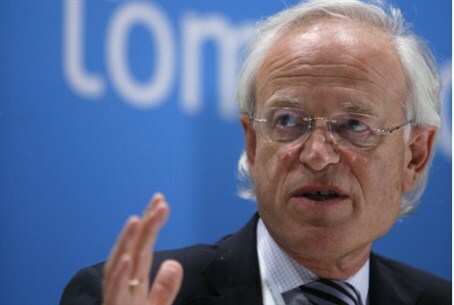 Langfan added "Martin Indyk has planned the annihilation of Israel for decades." Video shows that prior to the 2005 "Disengagement," whereby Jews were expelled from Gush Katif, Indyk was woefully mistaken in his predictions of the move's results. Indyk claimed the unilateral withdrawal would produce "a new Palestinian leadership that is more responsible and capable and legitimate." Instead the terror organization Hamas took control of Gaza. Regarding Kerry's plan, it appears to be based on the 1967 "Allon Plan." Ironically, in the same year the US Joint Chiefs of Staff (USJCoS) reported that even more than the Jordan Valley, Judea and Samaria are strategic necessities for Israeli security. Kerry's plan also includes mass withdrawals from Judea and Samaria. MK Miri Regev (Likud Beytenu) plans to challenge the plans by introducing legislation next week to annex the Jordan Valley, according to a Friday-morning report by the Yisrael Hayom daily. A senior Likud source criticized the move, saying "Regev is initiating the bill to get headlines. Even she knows full well that there's no way in the world that such a proposal will pass the Knesset."